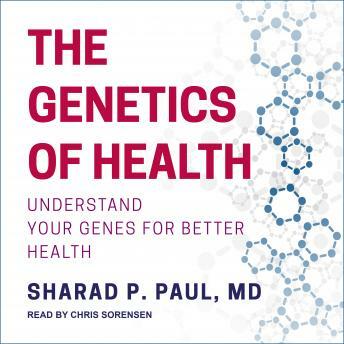 Recognized as one of the best in his field, surgeon, academic, and philanthropist, Dr. Sharad Paul combines everyday health with evolutionary biology and explains how to improve your overall wellness by following a diet and exercise plan according to your gene type. Starting with our brains, this book covers everything from skin and muscles, to hearts, diets, and stress management. Throughout, Dr. Paul shares key information and provides steps to improve our daily well-being-impacting everything from our energy levels to memory retention to our overall longevity. Our evolutionary past and genetic makeup determine how and why the body works the way it does and how it all combines to make us unique individuals. Presenting a compelling blend of medical mysteries, patient stories, and science, Dr. Paul has developed a revolutionary approach to wellness that will result in beautiful skin at any age, a healthier diet for muscle endurance and skeletal strength, a more resilient and efficient heart, better mood and memory balance, and more.